The strategies for thumb wrestling can be complex – sharp nails, stealthy pouncing, the fast dance fake-out, genetically long thumbs, overpowering with pure strength, and good old fashioned luck – so be sure to choose carefully, as it’s usually over in less than 30 seconds. Thumb wrestle in the ring. Keep score by coloring in the flag for each bout you win. I feel like this spread should have been a giant fold out. Mark all the places you’ve ever been with an X and the places you want to go with an O. Design your own treehouses then add creative ways to communicate or travel between them. 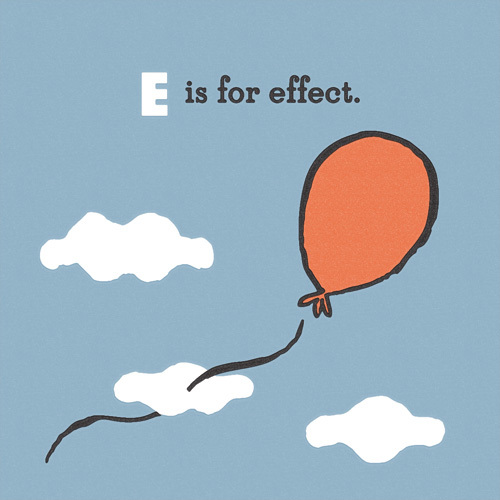 “E is for Effect” is part of an on-going alphabet series for kids using math, science and geography vocabulary. Have an idea for a good word? Send it my way! 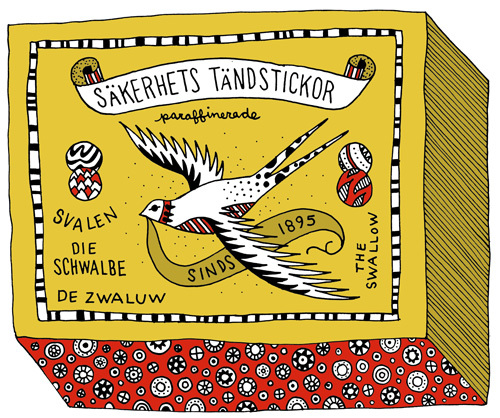 Previously I posted about the iconic Danish matchsticks with a flowery historical background. Another omnipresent matchstick contender in neighboring countries got the pen and ink at a creative night gathering recently – Sweden’s Säkerhets Tändstickor. If you’ve ever seen them, you know they are everywhere in the northern European countries. Unfortunately, unlike the Tordenskjold story I wasn’t able to find any dirt on these fire sticks. Maybe they just feel so secure in their fire starting ability that there is no need for marketing, or perhaps my google skills in Swedish are sub-par. To satisfy my curiosity, I ask my Swedish friends and neighbors – tell me what you know!